International business in Africa justified in the name of development is often a matter of controversy. While no blanket argument can cover all such transactions, a recent report by the Oakland Institute, a California think-tank, is finding that one such activity — that of massive land purchases by institutions — is deeply troubling. The report, titled Understanding Land Investment Deals in Africa, explores how American universities like Harvard and Vanderbilt are making 30% profit from buying up large tracts of land to grow export commodity crops in Africa — often violating human rights, food security and the economic prospects of African nations in the process. As The Economist has argued, the process of these massive land purchases is marked by a lack of transparency and accountability (http://www.economist.com/node/18648855). Governments hungry to attract investment are unrestrainedly giving land away — literally, in the case of Mali, where it is free, or as cheap as 2.5 cents per acre in Sudan. Sierra Leone allows 100% foreign ownership, with “full repatriation of profits, dividends and royalties and no limits on expatriate employees” (http://www.oaklandinstitute.org/why-you-should-care-about-land-grabs). Back in the “developed world,” many of these deals remain unrevealed, especially those in universities. The land in question is not unclaimed — however, often national governments manipulate customary law so that states can sell land people have lived on for generations. This entails massive displacements. 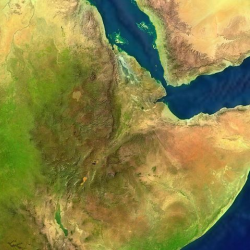 The Ethiopian government promotes villagization — forced relocation to predetermined sites — that displaces 700,000 indigenous people for the purpose of such a deal. In Tanzania, the displaced are 162,000 refugees from Burundi who have farmed there for over 40 years. Finally, the shift from food to commodity crops undermines food security. Large expanses previously owned by small subsistence farmers (in countries where food security is already a serious problem) are being converted to export commodity crops like agrofuels. In Mozambique, food crops represented only 32,000 hectares of the 433,000 hectares that were approved for agricultural investments between 2007 and 2009. Given the instability that a rise in food prices has already created, this shift would have far reaching implications. Neither employment opportunities nor reinvested capital in the affected nations comes from this process. In the attempt to attract foreign investment, governments reduce tax collection as much as they can, reducing public revenue. The Oakland Institute report cites an International Monetary Fund (IMF) study that “shows that tax incentives merely reduce much-needed tax revenues without promoting growth” (http://www.oaklandinstitute.org/special-investigation-understanding-land-investment-deals-africa). The promise of jobs is often a façade — in Mozambique, the World Bank found, one project had promised 2,650 jobs and created a mere 35-40 full-time positions. Land grabbing has been one of the major topics this last year — Via Campesina’s International Peasant Conference last month was dedicated to Land Grabbing and the UN Commission on Sustainable Development (CSD) addressed it in their recent session. However, the student activist component is only emerging now — plugging into a history of investment activism from the South African apartheid divestment. A movement gaining traction is REC (Responsible Endowments Coalition) based in Brooklyn, as well as the BDS (Boycott and Divestment Sanctions) regarding Palestine. These organizations are strong manifestations of growing awareness of universities as powerful financial players. Whether this form of transaction can bring about the promise of sustainable development that really benefits the region and its inhabitants remains in question.